This large sign is for the Auto Club of Southern California. The sign is a directional sign that shows how far certain destinations are. Under an arrow pointing to the left is the text “Murphy Well 7 Mi. 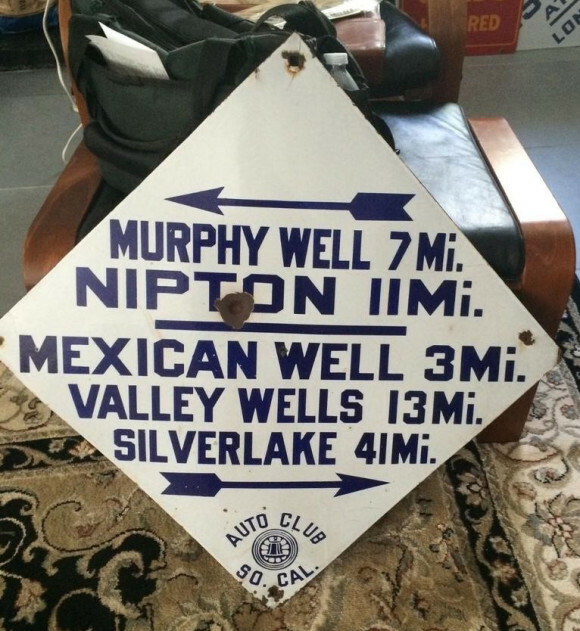 Nipton 11 Mi.” Above an arrow pointing to the right is the text that reads “Mexican Well 3 Mi. Valley Wells 13 Mi. Silverlake 41 Mi.” The Auto Club So. Cal. logo is at the bottom center.